Baptism marks a desire and a commitment to respond to God’s call to follow the example of Jesus Christ. It is a response to God’s love and also a celebration, a time to come together with family and friends; remembering that you are loved by God, are part of a wider community and have a place with God’s people. There is no age limit for Baptism. Everyone is welcome to have their children baptised in their parish church. During the service your child will be named and prayed for and with the support of the church, you and godparents, your child begins an amazing journey of faith. IMPORTANT: To find out whether you qualify for a Baptism at Frenchay please check the Baptism Criteria . Find much more about planning and going to a Church of England christening here . It’s possible to have this service instead of a Baptism if you decide that this is more appropriate for you at this time. You are welcome to arrange a Baptism at a later date or you could decide to leave the decision about baptism in the hands of your child as they reach maturity. 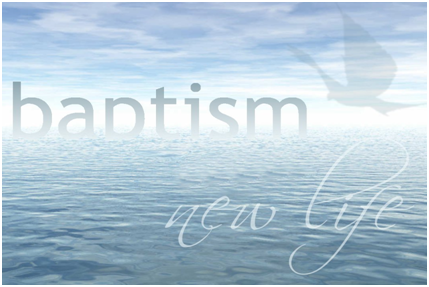 If you would like to enquire about having a Baptism or a Thanksgiving service please contact our baptism@frenchaychurch.org.uk. Confirmation marks the point in the Christian journey when you affirm for yourself the faith into which you have been baptised and your intention to live a life of committed discipleship. This affirmation is confirmed through prayer and the laying on of hands by the confirming bishop. The Church also asks God to give you power through the Holy Spirit to enable you to live in the way of Jesus. Usually you will be asked to come along to a course or regular meetings before being confirmed, to help you explore your faith and to ask any questions you might have. Please contact the revcharles@frenchaychurch.org.uk to share your interest in this next step. Look here to find out what happens during the service.